People couldn’t understand why Bob Whalen wanted to convert HB McClure Company into an ESOP, or employee stock ownership plan, just after he assumed ownership of the company in 2008, but Whalen had a vision. By putting the company in its employees’ hands, Whalen believed HB McClure would be more successful financially, earn a reputation as an employer of choice and, as a result, provide better service. 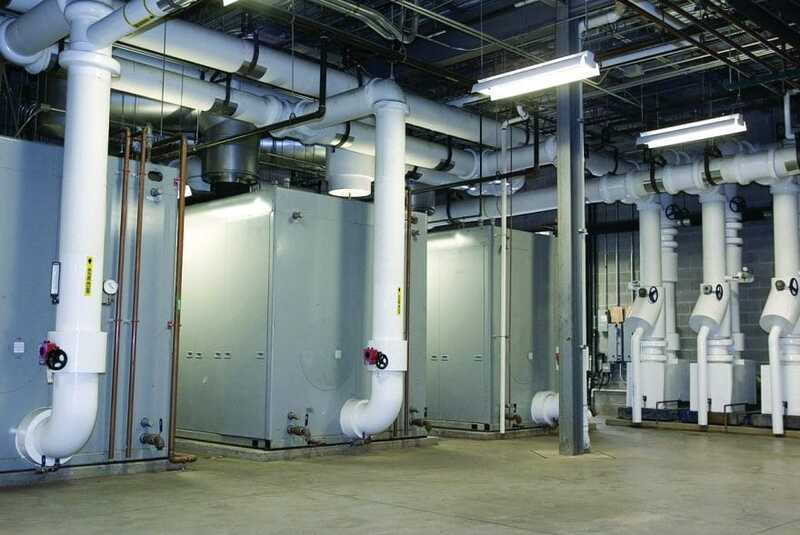 HB McClure Company is an HVAC services company specializing in commercial construction, with projects in the half-million to $2.5 million range. Headquartered in Harrisburg, Pennsylvania, the company has grown from 200 to 500 employees since Whalen took over. Its stock has grown 50 percent each year for the last six years, and it’s done 11 acquisitions since 2008. When Whalen entered the scene not quite a decade ago, he was brought in to succeed then-owner Bob McClure. Because that was right around the height of the Recession, the company looked for ways to make it less expensive to purchase McClure’s holdings. Converting to an ESOP was their best bet, Whalen decided. “I did believe if we grew at the same rate that I was going to be less well-off personally with the ESOP than I would be if I owned 100 percent of the company, but I believed because of the ESOP we would grow more quickly, and it would end up being a win-win,” he says. While it’s still early to tell, the last six years suggest the company is headed in the right direction. Today, two-thirds of the equity is in the hands of HB McClure’s field employees, and the company has paid out significantly more in cash bonuses since the ESOP conversion than it did before. Part of HB McClure’s goal is to create enough financial success to provide its long-time employees with retirement packages that allow them to maintain the lifestyles they’ve become accustomed to. More importantly than the financials, Whalen says, the mission of the ESOP conversion was to create a great place to work. That takes trust and respect. “I think what [the ESOP] does is create a level of trust with the employees that we’re all in this together, so when things go well, we all benefit from it, and when things don’t go so well, we all suffer because of it,” Whalen says. That trust doesn’t happen overnight, but McClure has seen employee engagement, which was already high before the ESOP conversion, continue to grow over the last six years. “You have to really enforce that that’s the behavior you’re looking for,” Whalen says. Whalen didn’t stop at the ESOP conversion. Two years ago he introduced “The Great Game of Business,” an open-book management style that educates employees and gives them a framework for making business decisions that don’t just make their lives easier, but ultimately benefit the company too. That comes to play in instances like when a field employee suggested a $500 tool to the vice president of construction. The tool, he told the construction VP, would save $1,000 on the job they were working on, and if it were used on five other projects that year, it would save $3,850. The company agreed to purchase the tool. “We never would have had that happen before,” says Director of Human Resources Brandy Shope. In the old model, an employee would have asked for something, without making a compelling case for it, and the leadership team would’ve said no, she says. Whalen has helped foster a culture of respect at HB McClure. Early on, he set an objective of providing every employee with at least 24 hours of training each year. In 2017, HB McClure will formalize that training through its new HB University. “We’re not going to give up the ABCs (Associated Builders and Contractors) or our trade schools, but we’re also going to bring our talent in and show them what to do,” Shope says. HB McClure wants employees who want to throw out the clock-in, clock-out mentality and invest in their processes and their work, she says. “We’re looking for somebody with some passion and excitement for the business we’re in and somebody that essentially believes that there’s tons of opportunity out there and believes that they can help themselves and their teammates achieve that success,” Whalen says.